StarBoard FX-77GII combines the simplicity of a whiteboard with the power of a computer. 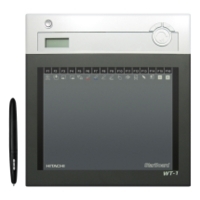 The FX-77GII pen-driven interactive whiteboard connects to a projector to display a teacher's desktop on the interactive whiteboard. 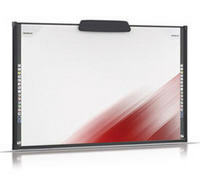 Teachers can then control applications on the screen, write notes in digital ink and save all their work. With StarBoard software, which comes with all StarBoard interactive whiteboards, you can capture all of your notes and multi-media content to a single file that can be opened in both Windows and Mac operating systems. Wireless pen: Responds to pen only for precision, full mouse and hover functionality. Magnetic surface: For added convenience when the whiteboard is not in use. Durable, electronic-free surface: Retains functionality with dings, scratches, and dents. 12 shortcut buttons: Easily access frequently used tools on the side of the whiteboard.